The Oldham County Attorney’s Office established a Victims Advocacy Program with these philosophies in mind. Our goal is to provide assistance to individuals who have been victims of violent crimes within Oldham County. This Assistance Program helps address the devastating emotional and psychological consequences that victims and their families experience. Victims may not understand the procedures for prosecuting cases and may be unfamiliar with terms used within the criminal justice system. The Victim Advocate will provide information about the legal process and what may be expected of victims. The Victim Advocate will keep victims advised of the status of their cases on a regular basis and be available to answer any questions they may have. Victims are encouraged to express opinions and concerns. Victims may speak with the Victim Advocate regarding their case or they may speak directly with the prosecutor. The Victim Advocate will also document the amount of financial damages caused by injuries in order to seek restitution in court. The Victim Advocate will advise the prosecutor and the Court of any threats or intimidation by the offender. If a victim desires, he or she can be accompanied to all court proceedings by the Victim Advocate. The Victim Advocate is able to provide referrals to victims for services such as counseling, therapy, and safety planning. 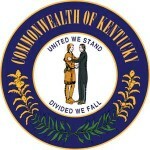 Kentucky has established a Crime Victims Compensation Board from which an innocent victim may be reimbursed for medical expenses or wages lost as result of a crime. The Victim Advocate may be available to help answer questions concerning eligibility or compensation and to assist in the completion of Crime Victims Compensation Claim Forms.